Thank you for visiting my site and considering my services. I am a licensed Psychologist and Substance Abuse counselor. I have been a licensed Psychologist since 1981 in New York State. I later earned a certificate as an Alcoholism Counselor. I have been working in Phoenix since 1990 with Arizona licenses. I provide assessments and psychotherapy for children, adolescents, and adults. 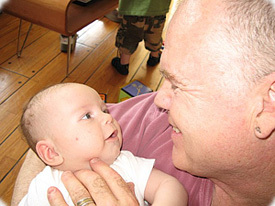 While I work primarily with individuals, I also practice some couples and family therapy. Since receiving significant training in 1991, I have been performing a significant number of assessments for Attention Deficit Hyperactivity Disorder for people of all ages. 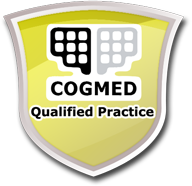 Recently, I became a licensed provider for Cogmed----a software program aimed at enhancing the executive function of working memory. The foundation of my practices is evidenced based approaches that are behaviorally measurable. I maintain a reasonable number of clients that I can see on a recurring basis. This enables people to receive adequate attention for problems and to stay treatment focused to solve problems effectively and efficiently. This also allows me to remain personally engaged as a partner to solve issues related to relationships, anxiety, depression, addictions, maturational problems, cognitive deficits, and executive functioning. I work clinically with my clients and do not performs services related to forensic or custody needs.